This morning we have a very exciting announcement to make. Cars and Coffee Brisbane​ is expanding. Nothing will change at Coorparoo on the 1st Saturday of every month, but on the 3rd Saturday we will be at Jindalee Home​. This location will offer vastly more parking and also cater for people who live on the western side of the city. So please join us on the 21st of April at this marvelous new venue. 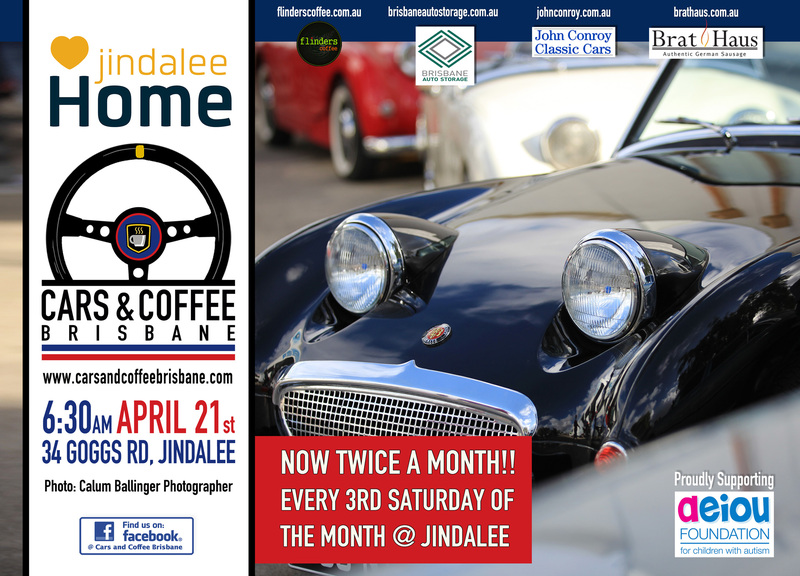 We would like to thank our hosts Jindalee Home as well as Flinders Coffee, The Bratmobile, John Conroy Classic Cars & Brisbane Auto Storage (www.brisbaneautostorage.com.au).